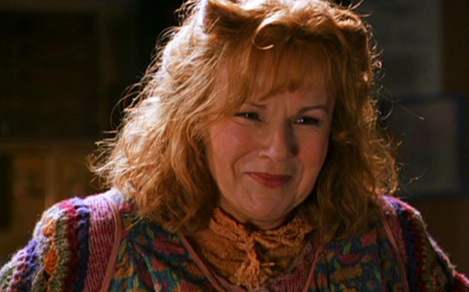 In the short quiet period between Dumbledore's defeat of Grindewald and the first rise of Lord Voldemort, Molly Eugenia Prewitt was born on October 30, 1950. People assumed that because Grindewald had been defeated they could relax their vigilance and settle down, have families, and enjoy the peace. William Prewitt and his young wife Mary were of this mind. William Prewitt was an Auror with a feisty personality. He was often called Wild Will for his temper. Mary was a quiet, steady woman with a strong love for her home and family. Their two older sons, fraternal twins Gideon and Fabian were strong-willed and cheerful boys with penchants for mischievous behavior. Molly fit right in. She learned early on to love life, to protect her family, and to take care of those she loved. Her mother taught her about taking care of the home and to enjoy gardening. When she started Hogwarts in 1961, she was sorted into Gryffindor. Her favorite classes were Charms and Herbology. During the summers, from her fourth year on, she was an assistant cook at a small restaurant called Mom's Meals in Diagon Alley. She continued to work there off and on until it was destroyed by Death Eaters just before she got married. Molly inherited her father's temper. When she realized the legacy her prank-loving brothers had left for her, she learned early on to defend herself and to chastise her brothers for being such a bad example. This temper also led to a huge row with her Aunt Eugenia (from whom she got her middle name). The row was such a split that when Molly married, she dropped her middle name altogether, and kept her maiden name as her middle name. In her fifth year, tragedy struck. Her brothers were out helping a friend ward his home and the death eaters attacked, killing both of them. However, in the process, Gideon and Fabian took several of them down. They were hailed as heroes. Molly became fiercely protective of her family and friends even more so than she had been before. Molly met Arthur Weasley when she came to Hogwarts. He was a year ahead of her, and at first, she admired him from afar. However, one day in third year, she tripped on a stairway in a rush to get back to the Common room, and Arthur caught her before she could fall. From then on, they were friends, and then in sixth year, he finally plucked up the courage to ask her to Hogsmeade. After that, they were pretty much inseparable. He proposed to her shortly after she graduated, and she accepted. They eloped the next week. When their eldest son Bill came along (and it wasn't long), Molly and Arthur made a conscious choice for Molly to remain home. They knew they could have managed with relatives and friends to help watch him, but Molly's strong family values dictated that she be the one to rear her own children. This has led to ridicule from other families who see their apparent poverty as a drawback. The Weasleys always felt they were rich in the things that mattered. 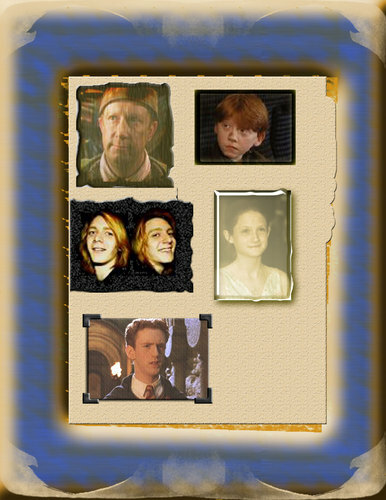 They continued to have children in close succession: Bill, Charlie, Percy, Fred and George (who reminded her of her brothers), Ron and Ginny. When Ron met Harry Potter on the Hogwarts' Express, in Molly's mind, Harry became one of her own. After a while, Hermione Granger did too. Molly is completely supportive of Professor Dumbledore and is willing to do whatever it takes to protect her family (blood and adopted). Her temper is still seen from time to time, as is evidenced by the Howlers her sons receive whey they step too far out of line. Molly is a very loving, motherly lady, however when she gets angry, she's loud. She loves fiercely, fights fiercely, and takes care of anyone who will let her. 1994-12-27: Revelations, Curses and Scolding, Oh My!